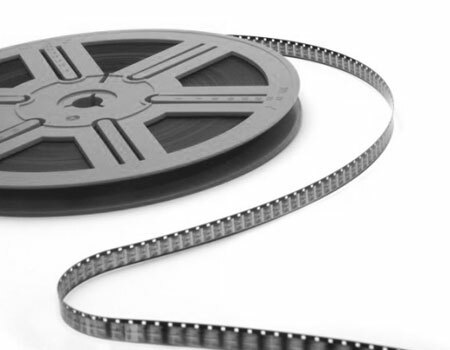 Verifying the reels of film is the most important step in the restoration process. It involves identifying all the physical and mechanical problems. It's a comprehensive health check-up. Identification of the film (base, gelatine). Identification of any previous refurbishing (stains of any kind, embedded material, poor repairs, old work badly suited to the problems). Identification of various stages of deterioration caused by moulds or vinegar syndrome, heavy scratching, perforations etc. Identification of weak splices or poor quality tape, mechanical state of the perforations, torn slots, etc. Each film is unique. Depending on how fragile in is or what problems are encountered, treatment tests are carried out on the editing table to find the most suitable solution. Implementation of treatment procedures to deal with each problem (manual or machine processing). Definition of which products to use and with what settings to take account of the film's fragility and the problems being tackled. We use ten or so "in house" products, which can if necessary be combined together or added to other substances to make them more effective. This stage is therefore crucial. Anyone who neglects this process only solves part of the problem and could even be putting the physical integrity of the film at risk. This operation represents up to a quarter of the time spent restoring the film, but it's time well spent. Only by verifying can we inform the client if there are any partly or wholly irremediable problems and give an accurate cost estimate.